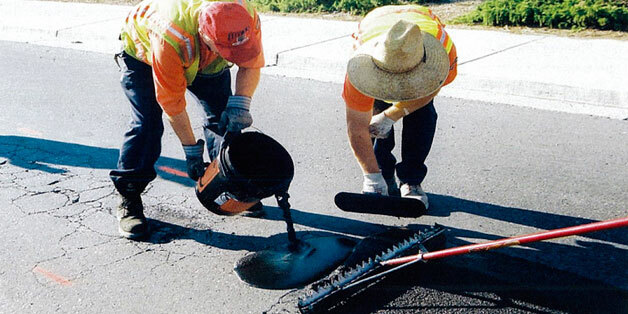 FloMix Asphalt Repair has been used effectively for more than 7 years to repair potholes, alligatoring, cracks and cratering on highways, parking lots, city streets, pavings, garage floors, roads, driveways and sidewalks. 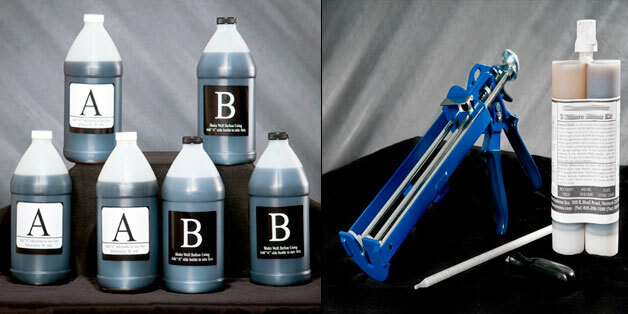 PolyFlex DS™ is the polymer only version of FloMix™ and FlexSet™. Use PolyFlex DS when you want a less rigid repair, such as for a traffic loop, control/expansion joint, or for a thin crack repair where deeper penetration is required and a polymeric slurry has too much body. Concrete Welder™ rebonds cracked concrete. This thin, penetrating polymer is applied from 21 oz. Twin Dual Cartridges. 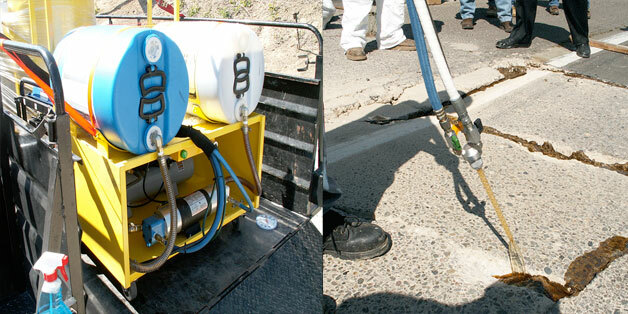 Concrete Welder™ restores concrete strength by penetrating and rebonding fine cracks. Large cracks are sand or aggregate filled then saturated with Concrete Welder™ to form a high strength polymer concrete. Do you have unsightly weeds in those cracks and crevices? Are the expansion joints in your sidewalk, driveway, patio or pool now rotten or missing? Why not replace them permanently with SlabGasket. Sealers provide beautiful protection for concrete, masonry, unglazed tile, natural stone and grout both indoors and outdoors. Glaze 'N Seal offers a complete line of premium sealers to give your project "the look you want the protection you need!" 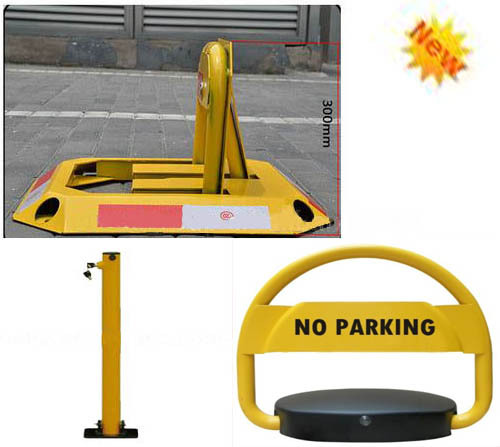 Specialty Parking & Road Safety Equipment that you can find Domestically only at Fillpro Industries, Inc.
FloMix Asphalt Repair serves as an asphalt sealer to repair potholes and for paving repair such as alligatoring. FloMix works as a crack filler, fixing cracks and cratering on asphalt pavement highways, parking lots, city streets, garage floors, roads, driveways and sidewalks. 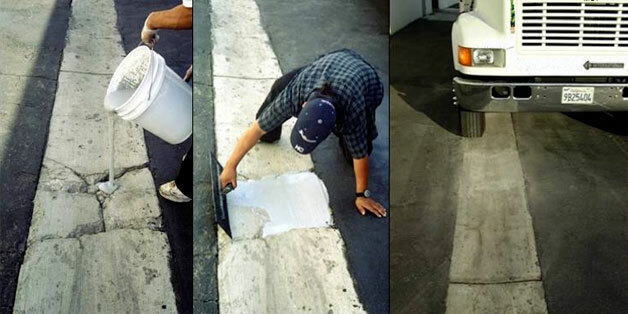 It is the most economical and easy-to-use asphalt repair product. WINTER WEATHER APPLICATIONS FOR FLOMIX™ & FLEXSET™ !!! With the 4 oz Catalyst added to Flomix™ and Flexset™ during the mixing process in Temperatures below 55°, you can apply Flomix™ and Flexset™ in temperatures as low as " 30° " !!! FREE SHIPPING!!! 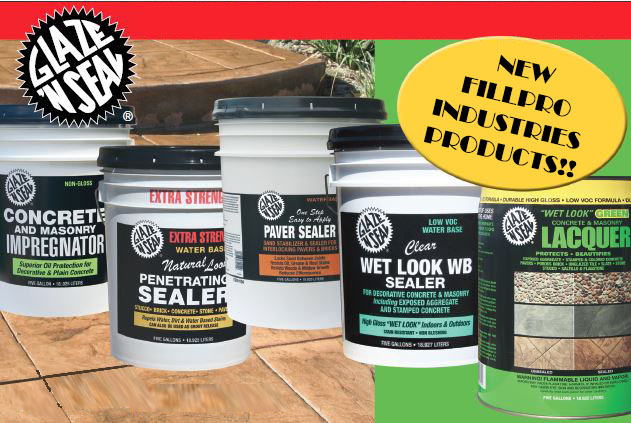 Welcome to Glaze 'N Seal Products Superior sealers for concrete, masonry, tile and stone. Exceptional Product Performance indoors and outdoors. Easy to use products for professional and do it yourself homeowners. Green Products – Low VOC’s. Product Innovations!